Everyone seems to want to generate content that will go “viral” nowadays — to the point where a new site specializing in that kind of content, such as Upworthy or ViralNova, seems to come along every week. Even some traditional media outlets like the Washington Post have launched their own sites to try and ride this wave to the promised land, and they appear to be having some success (depending on how you define success). That said, however, I would argue that these sites and services are focused on a short-term strategy at best — and one that is ultimately self-defeating. Why? Because they only serve to reinforce the flawed view that traffic is all that matters. It’s also worth pointing out that generating — or at least finding and sharing — viral content isn’t exactly rocket science: as The Wire pointed out in a recent piece, a twenty-something entrepreneur named Scott DeLong effectively created ViralNova singlehandedly at his home in Ohio, and now routinely produces new viral sensations. He clearly works hard at understanding how this works from an algorithmic standpoint, but it doesn’t seem terribly complicated. Neetzan Zimmerman at Gawker, meanwhile, has turned his ability to spot viral content into a marketable skill — he produces as many pageviews himself (up to 35 million in a single month, according to a recent profile in the Wall Street Journal) as some entire media outlets do with large teams. 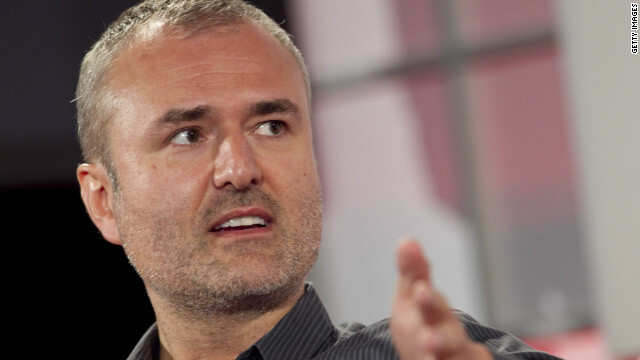 And he is the chief weapon in an ongoing traffic war: in a recent internal memo, Gawker founder Nick Denton grumbled about how his site had fallen behind BuzzFeed, and how Upworthy — which he described as “even smarmier than BuzzFeed” — was nipping at his heels. It’s not surprising that some have compared this to the early days of SEO or search-engine optimization, when online publishers would stuff their pages and headlines full of keywords in the hope that Google would boost their ranking. In the end, the impulse to find or build portals around viral content is driven by the same motivation as SEO was — namely, to produce vast numbers of pageviews that can be sold to advertisers. And just like SEO, the engineering of Upworthy or BuzzFeed-style headlines and content has already become a cliche, to the point where it may actually stop working, even without any intervention from Google. But even if the content itself continues to work — in the sense that people will always want to share photos of otters holding hands or cats that look like Franklin Delano Roosevelt — the value of those millions of pageviews is continuing to drop. That’s not just because there are more and more sites doing it, but because the value of incremental pageviews is sinking inexorably towards zero. That means that every site using viral content as a growth engine is ultimately running the Red Queen’s race from Alice in Wonderland — the one where you have to run as hard as you can just to stay in the same place. In part, the blame for this state of affairs lies at the feet of the advertising industry, which continues to focus on big pageviews numbers even as it claims to be more interested in engagement and other metrics. And it’s true that the entertainment value of slide shows and cat GIFs is often worthwhile for its own sake — but ultimately, publishers who try to game the system by focusing on cheap viral content aren’t helping themselves in the long run. Thanks for saying this. Someone needed to. I am still and until I see otherwise, a believer in good quality content is king. I’m sure you’ve had a chance to read this recent paper on the Theory of Peak Advertising and the Future of the Web (http://peakads.org/images/Peak_Ads.pdf) — which touches on the the reality of declining value of ad inventory and the secular decline in display and search ad revenue. Both banner blindness and ad blocking are cited as factors for the decline, as well as the evolution of web services, web properties, mobile and fragmenting online attention. Viral content has become one of the weapons in the marketer and publisher toolkit to future proof against the decline in ad effectiveness and revenue, but as you say, because it’s become so easy to create, it’s become commoditized to the point that its no longer a competitive advantage. But the increase in native advertising spend looks like where most of the resources will flow, whatever your opinion of them. My question to you, then, is what does the business model for publishers look like if it isn’t about pageviews and traffic? Are subscription models and paywalls to premium, non-commoditized content the future proof? And will media companies continue to consolidate such that scale and audience is the only way to effectively serve and make revenue on advertising? Is Bezos on to something? That was more than one question, but it’s certainly an interesting time for media companies and content. Hats off. Let’s hope this piece reaches a relevant audience and does not fall on deaf ears. Page views mean nothing if the website isn’t generating any leads that will make it money. I agree but up to a point. Traffic does matter and quality traffic really matters. One of the problems for print media is that they haven’t got ‘traffic’ any longer so what are they supposed to sell to advertisers (if that is their business model of choice)? As far as the new viral-media entities go, I think they are playing a dangerous game because the traffic can disappear as easily as it has appeared. Until someone figures out a better way of building a media business model, I will follow their performance with great interest.